This month in Detroit, the Motown Writer’s Network features Men Who Write. We missed the main event because we were in New York connecting with other men who write, men who care deeply about Detroit and its working class history. Mike was invited to speak on two conference panels last week-end in New York City. In each case, he shared t he stage with other male authors. 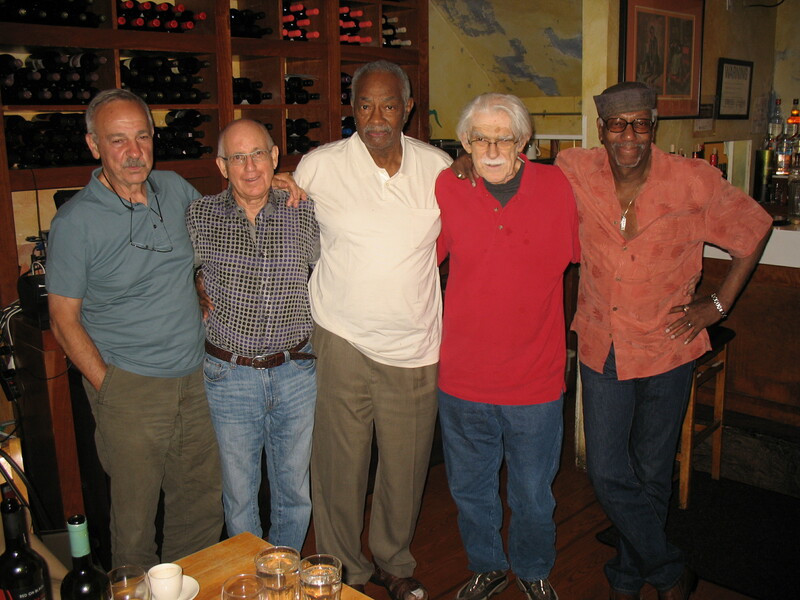 On hand were Dan Georgakas and Marvin Surkin, co-authors of the book, Detroit, I Do Mind Dying, Ron Reosti, a labor lawyer and life-long activist from Detroit and Herb Boyd, author of the respected Civil Rights Chronicles. Our trip was a great success. We sold books, made contacts, received a great review of Mike’s book and added another endorsement. As we dashed around lower Manhattan by cab, I made an effort to take in the current state of New York, a city that fell into bankruptcy in the mid-1970s. Today, it appears thriving. The streets are crowded with tourists and pristine parks arise from public- private partnerships much like Detroit’s Riverwalk. In New York, there is wonderful mass transit system and commerce is thriving. In Detroit, our neighborhoods are still in desperate shape. We need to catch up. But I am convinced there is life after death. What I missed in New York was the earthiness of Detroit’s resilient people. We are in tough times but there is hope. Today our Mid-town community is thriving in partnership with the University and medical centers. Downtown is rising from the ashes so much so that residential housing is in short supply. Eastern Market is vibrant. A week ago, we opened Whole Foods, our first major grocery store in years; Meijers on the old state fair grounds will open soon. In September, we break ground for a tram that will bring commerce to the Woodward Corridor. Some citizen initiatives have begun to improve neighborhoods. We can and we will find our footing. A Black Revolutionary’s Life in Labor: Black Workers Power in Detroit a new book by Michael Hamlin with Michele Gibbs. Do you have your copy yet? Honor men who write. You may purchase a copy of Mike’s book on our website: www.againstthetidebooks.com/books/. Follow our blog by clicking “follow” on this website. Visit us on Facebook: Against the Tide Books. Also available from Amazon.com, Barnes & Nobel.com, SOURCE Booksellers and the Charles H.Wright Museum of African American History. This entry was posted in Uncategorized on June 15, 2013 by joanncastle. Enjoyed your blog about your trip to New York with your insights and observations of the city. I had the good fortune of being invited to the 10 year anniversary celebration of the Detroit Riverfront yesterday and was reminded again what amazing accomplishments we can achieve when city and state government, the public and corporations work together. I believe that cooperation wil be the saving grace for Detroit. I am glad your trip was so successful. Congratulations!